If the Department of Defense were a private corporation, it would sit at the top of the Fortune 100, a behemoth with more than 2 million employees spread across 5,000 locations and a $36 billion annual IT budget. But it would still be wrestling with what is arguably the most complex enterprise network environment in the world—an environment that Defense Department Chief Information Officer Terry Halvorsen argues is too difficult to defend, too costly to operate and maintain, and hampers effective information sharing between the military services and the nation’s allies. 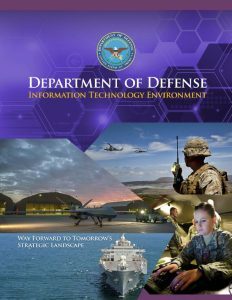 That is the underlying message in the Defense Department’s new strategy document outlining the department’s vision for its future IT environment. Speaking to reporters Thursday, Halvorsen characterized the plan as “a living document” that will change as the department and the technology environment change. “The exact vision in this document, if it’s still the same in a year, we’ve screwed up,” Halvorsen said. According to the vision document, “cloud computing, data center consolidation, and improving trusted information sharing are vital” to the department achieving the eight major goals of its IT transformation strategy. Halvorsen also stressed the need to improve transparency into Defense Department financial management systems. Among the most significant near-term goals is a plan to establish an on-premise managed cloud service capability by the fourth quarter fiscal year 2017. The department is also forming a data center closure team to assess and recommend closures of the costliest and least efficient of the Pentagon’s 3,115 data centers. “What we’re looking to do here is to establish a data center closure team,” said Randy Conway, principal director of the information team for the Pentagon’s chief information officer. He said the plan calls for a team of experts from across the department to identify the top 50 worst performing data centers and recommend either closure or ways to “jolt” certain data centers into performing better. Halvorsen added that the new team would also be responsible for making the critical decisions about where data from those data centers marked for closure would go—whether a commercial cloud, an on-premise cloud operated by a commercial provider, or a government-run cloud. 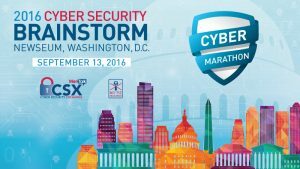 DOD CIO Terry Halvorsen is a keynote speaker at the 2016 Cybersecurity Brainstorm on Sept. 13. The department has been criticized for not moving fast enough on data center closures. By the end of last year, DOD had closed only 568 of its 3,115 data centers–or about 18 percent. Federal mandates required the Pentagon to close at least 40 percent of its data centers by 2015. The slower-than-planned pace of closures resulted in the department missing out on $680 million in potential savings, according to a recent inspector general report. Halvorsen also said the Pentagon is well on its way toward eliminating the use of common access cards for network authentication. A combination of biometrics and big data analytics that can model a user’s behavior and interactions with computers will replace the more costly common access card infrastructure, he said. Executing capability initiatives toward the Joint Information Environment vision. Improving partnerships with mission partners and industry. Ensuring successful mission execution in the face of a persistent cyber threat. Providing a cloud computing environment. Optimizing DoD’s data center infrastructure. Exploiting the power of trusted information sharing. Providing a resilient communications and network infrastructure. Improving transparency of DoD IT investments.